Our new performance studio is now up and running. With the state of the art Skytrak Analysis System we can offer a huge range of services all through the day and also in the evenings, which at this time of the year with the freezing temperatures and dark nights will be a fantastic edition. Get the yardages for all your clubs throughout the set. 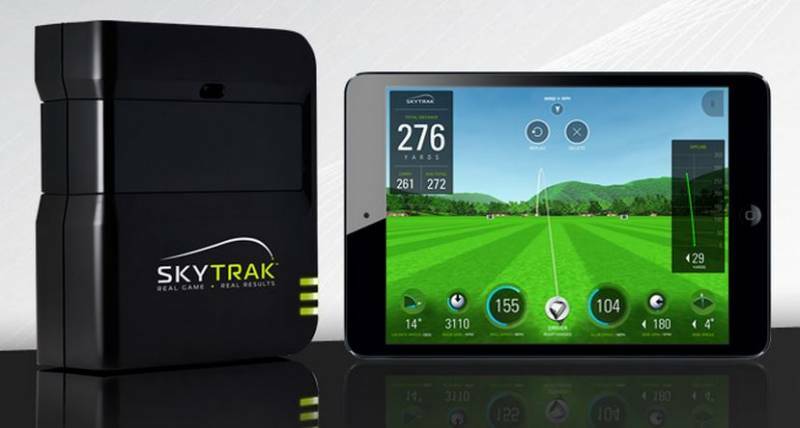 Match your ball up to your swing with our analysis system. We can optimise your feel, distance and overall performance and get you playing your optimum ball. Come and play one of numerous champioship golf courses for up to 4 players during the day or evening. Working on your launch angle and spin rate to maximise your distance. Come and experience the latest in golf computer analysis and enjoy an evening playing championship courses or improve your game with one of our packages available in a warm friendly environment with one of our experienced PGA professionals, Jon and Tim Newham.